12 Mukhi Rudraksha is the Centre of Brilliancy and Lustre and Radiance and Strength of 12 forms of the God The Sun (SURYA). The wearer of this Rudraksha gets the quality of Surya to move continuously with brilliant radiance and strength. 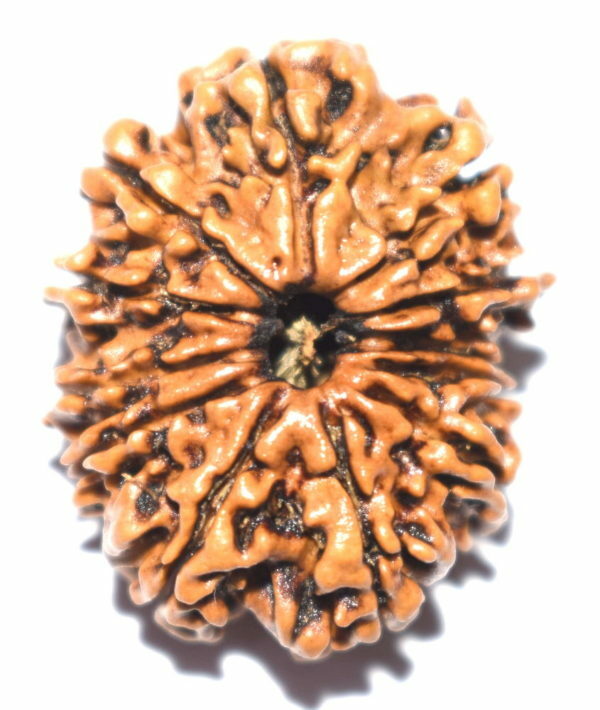 This Rudraksha gives knowledge and riches and all the earthly pleasures and is found miraculously effective. 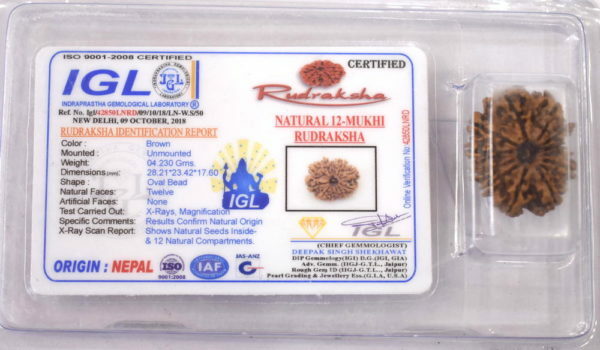 The 12 Mukhi Rudraksha is one of the most important Rudraksha to be worn by any person who needs to attract knowledge and riches and all the earthly pleasures. This Rudraksha is the most useful for the administrators. The person who wears the 12 Mukhi Rudraksha gets administrative capacity limitlessly. 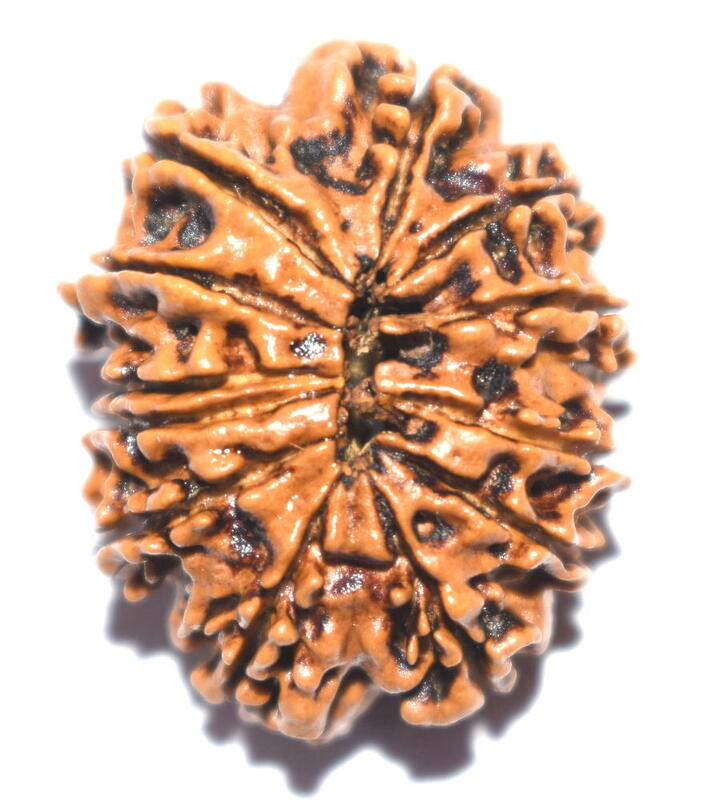 The 12 Mukhi Rudraksha must be worn by politicians and businessmen and aspirants of name and fame. Wearing 12 mukhi Rudraksha increases self image and motivation. Gives happiness and material gains and protects from accidents. Srimaddevibhagavat 11th Skand Chapter V verse 25 to 26 it is stated “According to Jabala, instinct for wearing Rudraksha results only after attaining the perfection of Vedas and Blessings of Lord Siva during preceding births”. Recommended for : Heart Disease, Lung Disease, Skin Disease, Hiatus of Stomach, Esophagus, and Bowel Problems, self power ,release of stress & anger . Twelve Faced Rudraksha can be capped with gold / silver / PanchDhatu or worn in thread round the neck or on hand after chanting the mantra & also after salute (Namaskar ) to Surya (sun).